Science of Nature - Erin Smith, M.Ac., L.Ac. Classical Chinese medicine is, above all else, the study and practice of the science of nature. By carefully observing nature, including how the stars and planets move, how water flows, how trees grow, and how weather locally and cosmologically changes, the ancient doctors learned about nature, and thus about human beings. We human beings are product of our environment, and are composed of the same substances that are found in plants, animals, and stars, and are under the same energetic influences that create the changes in the seasons, tidal waves, and planetary motions. Although this may sound a bit esoteric, it is hard to really debate this, even with all of the information we have gathered with modern science and medicine, and it is the foundation of what classical Chinese medicine is. When studying Chinese medicine, we are also studying nature. Whatever physical structure or energetic/metabolic process we can find within the body, we can find a symbol of that same thing among the vast earthly landscapes and cosmological phenomenon that occur on the earth and in the universe. Before the age of industrial cities, concrete walls, and the I-pod, ancient people lived more in touch and in tune with nature, and were much more aware of the influence that the natural world has on the human being. Over what is predicted to be more than a hundred years of living in harmony with and observing nature and the human body, the ancient doctors amazingly discovered the anatomy of the human body similar to what modern medicine has revealed. In addition to the physical structures and vessels of the body, they also discovered the energetic pathways of the body, which are now called channels or meridians (jing). These channels in the body can be likened to riverbeds, which are the pathways for the rivers in nature, or blood vessels (mai) in the body, to flow. While the channels and blood vessels are smoothly flowing and the organs and tissues are adequately nourished, our bodies will be in a balanced, healthy, and vital state. When flow is interrupted and we become malnourished, imbalance and disease will prevail, in both nature and the human body. The science and art of Chinese medicine is not only for the treatment of disease, but more importantly to keep the body in its natural, balanced state and to prevent disease and pain from ever being able to take up its often comfortable residence in our bodies. The fundamental principles of Chinese medicine, and thus nature, are the principles of yin and yang. Many people have heard of this, and have seen the symbol, but few understand it's true meaning. Yin and yang reflect the fundamental motions of contraction and expansion that exist in the universe and can be observed in all natural phenomenon. Yang is the movement of expansion, and is depicted in white in the symbol to the left, and yin is the movement of contraction, and is depicted in black. Examples of yang energy include, the sun, spring and summer seasons, the expansion of the lungs that occurs during an inhalation, and the movement of muscles and joints. Examples of yin energy thus include, the moon, the fall and winter seasons, the contraction of the lungs during an exhalation, and the physical matter making up the muscles and joints. One may observe countless examples of the movements of yin and yang in nature as well as the human body. The symbol also reflects the necessity of both movements, which can be seen in the black yin within yang, and the white yang within yin. If only yang energy or only yin energy existed, then the earth as we know it would not exist. Both yin and yang energies are needed to create the rhythmical breathing of expansion and contraction that exists in nature and the human body. For example, the winter season can be considered a more yin time of year, during which nature is still, most plant life and growth has stalled, and the energy is more cold and contracting. Without the yang, expansive movement within the dead of winter, enticing spring, growth, and warmth to return, we would be stuck in the yin, contractive movement and the cycle of the seasons would cease to exist. These are just a few examples of the depth of this profound symbol, whose meaning can be studied and contemplated throughout an entire lifetime. The energy of birth and the spring. This is the upward energetic movement that allows the sprout of a plant to initially break through the seed, and the abundance of growth that occurs during the spring time. In the body, the wood function can be seen in the liver and gallbladder organ systems, as well as the tendon system, and potentially the nervous system as well. The energy of maturation and the summer. This energy represents that which is fully grown and is now in the peak of its full expression and abundance, like that of a beautifully blossomed flower. In the body, the fire function can be seen in the heart, small intestine, pericardium, and triple warmer organ systems, as well as the blood vessels. The energy of fertility and late summer harvest. The earth represents that which life is able to grow from, providing the nourishment, protection and strength necessary for all life to flourish. The earth function in the body is seen in the spleen and stomach organ systems, as well as the muscle and flesh system of the physical body. The energy of natural decay and the fall. This is the downward energetic movement of death that must occur in order for things to be regenerated and reborn, which can be seen in nature with the turning and falling of the leaves from the trees and the amazing process that occurs in the compost pile. In the body, the metal function can be seen in the lungs and large intestine, as well as the protective barrier of the skin. The energy of storage, stillness and the winter. This is the energy of an animal hibernating in the winter, preserving all of its vital energy during the time of stillness. It is also the potential energy contained in the seed, which contains all of the information needed for the plant to grow into what it is destined to become. In the body, the water energy is found within the kidney and bladder organ system, as well as the skeletal system and all of the water passageways. These same energetic movements are present in our bodies and are responsible for all of the processes that sustain our lives, and for the formation of all of our organs and tissues from conception forward. While all of these five energetic movements are contained within each organ system, they each have one primary energetic movement that defines its primary function. 1. External factors, including wind, cold, heat, dampness, and dryness. Illness results when these pathogens are stronger than our immune system (zheng qi) and cause imbalance in whatever tissue or organ system has been "exposed" or is too weak to defend itself. 2. Internal factors, resulting from improper diet, sleeping habits, and other lifestyle factors, and emotional patterns and traumas that become stuck. Internal imbalances can happen over short or long periods of time and can lead to many of the chronic illnesses people are suffering from today. 3. Other traumas, such as surgeries, car accidents, insect bites/poisons, and other extraneous circumstances. These traumas can cause minor or major sudden disruption to the normal functioning in the body, which can cause permanent blockages and imbalances if they are left untreated, and tend to cause more problems in the future. By using the different modalities of Chinese medicine, the imbalances, blockages, and deficiencies that have been created in the body can be balanced, unblocked, and tonified, which will lead to great physical, emotional, and mental health and well being. The more balanced and open our bodies are, the healthier we will be, the less symptoms we will have, and the more connected we will feel to our environments. On the following 2 pages, you can find a brief description of the different modalities Chinese medicine practitioners can utilize to help restore balance and health. 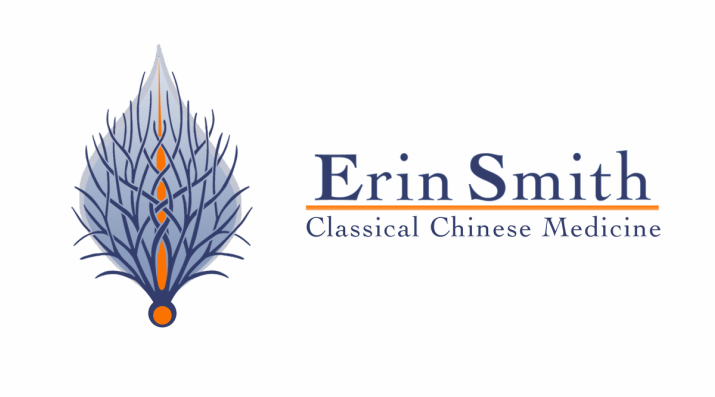 I will be diving into more specific topics in my blog over time, so please stay tuned, and if you have any questions about Chinese medicine, please don't hesitate to contact me.